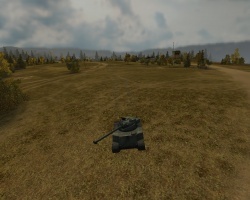 A medium tank with an oscillating turret and a 90 mm gun. 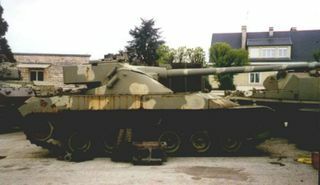 Developed by Batignolles-Châtillon in the mid-1950s. 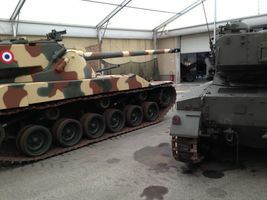 Two prototypes were manufactured. The vehicle never entered mass production. 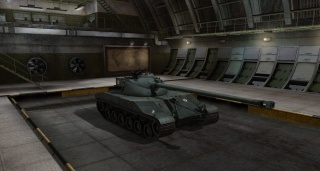 Built by Batignolles-Châtillon society at Nantes, the Batignolles-Châtillon 25t, often known in-game as the "Batmobile" or "Batchat", lives up to its reputation as one of the game's best assassin tanks, fit for many roles which include but are not limited to Scout, Sniper (when using the 100 mm SA 47 gun), Flanker, Brawler and Artillery hunter, with a high mobility and powerful gun it's capable of devastating any tank that it encounters. -Amazing acceleration and top speed. -Low profile and excellent camouflage. -Has great penetration on shells. - Poor armor, bounces are very rare. - Slow drum reload time; very low ammo stock. - Low weight, prone to ramming damage. 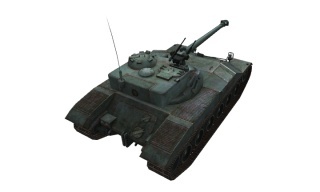 - Tied with Strv 103B and TVP 50/51 for lowest HP among Tier 10 non-SPGs (1800). 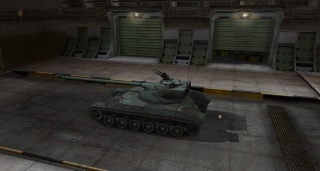 - Only has 3 crew members placed close together, all of them can often get knocked out and leave this tank empty. 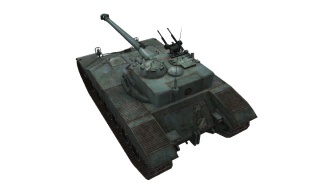 The Batchat is as unique as it is capable of delivering incredible burst damage with its 105 mm gun, combined with high speed. 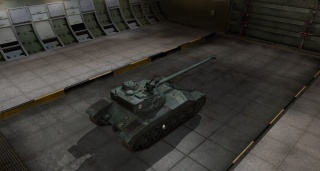 With this gun the tank can, on average, deliver 1950 hp damage in 10.73 seconds. Putting this firepower to use, though, requires a skilled player; as while the Bat may be capable of doing immense damage, it is not very capable of taking it. 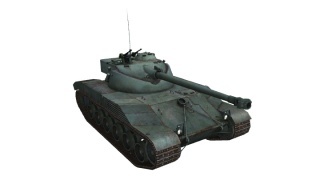 It has the lowest HP of any tier X tank, and its armor is virtually nonexistent. It can survive two or three hits on average. 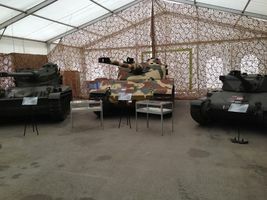 Another thing to note is that the Batchat is the lightest tier X weighing in at only 25 tons, so avoid ramming enemies. Its standard ammunition is APCR for the top gun. 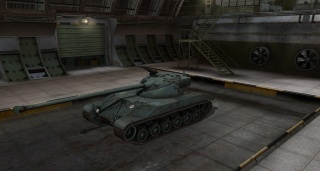 * None of the Batchat's current armament was intended for the tank. 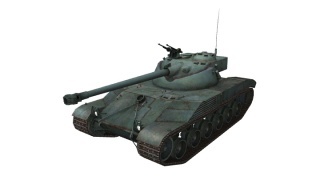 Only the 90mm DCA 45 was equipped on the tank, and it still exists on the prototype today. 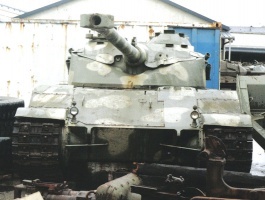 Additionally, the 75mm SA50 gun was planned for the initial version of the tank in 1948. 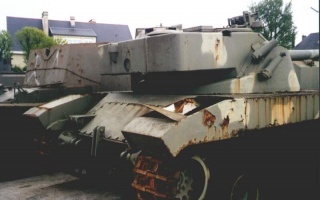 The tank was intended to have a crew of four, of whom the radio operator is currently missing. The engine that the tank used was a SOFAM 3M.27.1.01 engine with 500 horsepower, not the Hispano-Suiza HS110 engine with 720 horsepower it currently has. This page was last modified on 18 May 2018, at 18:22. This page has been accessed 568,245 times.